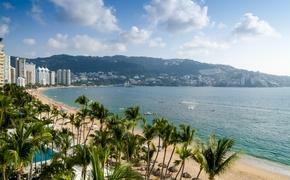 As Mexico editor, I happily spend significant time in Cancun and the Riviera Maya, two destinations that are veritable candy stores for travelers, offering virtually any type of accommodation and resort activity under the sun. 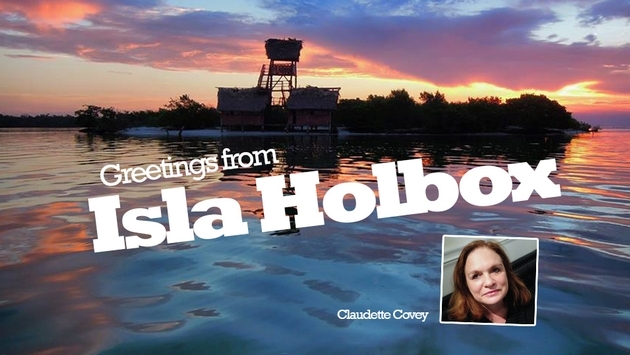 So when I was offered the chance to visit Isla Holbox – population 2,000, number of hotel rooms 300, number of ATMS, one – I jumped at the opportunity, figuring that the island would provide an interesting juxtaposition to these formidably larger tourist destinations. Suffice it to say Holbox did just that, and, for me, it was love at first sight. But I digress. As with many exclusive destinations, getting there took some time. The nearest airport is Cancun International, a two-plus hour drive from the tiny town of Chiquila, the site where we boarded the 20-minute ferry ride to Holbox. As I was disembarking the ferry I spied a fleet of dune buggies, which serve as the island’s only transportation. That’s right: This is an island with nary a car. You either walk or flag down dune buggies, which serve as taxis. Oh yeah. And there are no paved roads. I guess you could say they’re paved – in sand. Our small press group hopped on a couple of dune buggies and made our very bumpy way to Casa Sandra, a 20-room hotel that was sponsoring a culinary event in conjunction with the third annual Holbox Gastronomic Festival, which coincided with our visit. Here, I had the chance the chance to sample the best paella I ever tasted, and chat briefly with Sandra Perez, the property’s Cuban-born proprietor who still runs a hotel in that country. Perez, an artist, splits her time between Holbox and Havana. The property is indicative of what travelers will find on Holbox: small and charming. At Casa Sandra, for instance, public areas are adorned with Perez’s own artwork and that of fellow Cuban artists. The feel of the place is much more like a private home than a hotel. And it sits right on the ocean. Later that day, we checked into the 30-room Villas Flamingos, which is owned and operated by Alejandro Canedo, who acquired the property six years ago at the age of 24. All things considered, Canedo exudes the spirit of Holbox, having eschewed the hustle and bustle of Mexico City for another kind of life. Canedo, who had worked first for his father’s security company and then briefly for American Express in Mexico City, traveled extensively throughout Quintana Roo looking for a venue to run a small hotel. Nothing he saw was quite right, he said. Then, in a tiny Mexican town on the border of Belize someone told him about Holbox, drawing a map in the sand to show Canedo how to get there. He went and liked what he saw, settling on Villas Flamingos, which at the time was a barebones property with just 10 rooms with compost toilets. Canedo completely renovated the property, adding real bathrooms, more rooms and a more sophisticated restaurant, among other things. Now, Canedo’s most expensive rooms, such as two-story ocean view suites featuring hot tubs on the second floor, sell for $500 a night. The least expensive room sells for $150 a night and boasts two twin beds that can be converted into a king. It does not have an ocean view. That, really, is not of much consequence, because Villas Flamingos itself is set directly on the ocean, and even has hammocks that are positioned over the water. I was staying in one of the two-story suites, but with only partial ocean view, and my accommodations were equipped with both indoor and outdoor showers, which were, to say the least, unusual. The outdoor shower was created with suspended buckets through which water flowed, while the conduit for water for the indoor shower was a log attached to the ceiling. The rustic shower situation reflects the general ambiance on Holbox and its hotels. Canedo is quick to point out that shoes are never required. “Normally I’m barefoot all the time,” he said. There are even buckets filled with water outside the building that houses the hotel’s reception area and restaurant so that guests can wash the sand from their feet before dining. But don’t get me wrong. Canedo knows that if he’s charging up to $500 a night there are certain things he has to deliver. The hotel features complimentary Wi-Fi throughout as well as air conditioning. All things considered, Holbox is really well suited for those travelers looking for complete decompression. Travelers can opt for fishing and snorkeling tours and swim with the whale sharks in season, but other than that I advise bringing some good books and prepare to chill. I, for one, spent a bit of time watching the hotel’s iguanas appear from peepholes in the foundation of the swimming pool. Canedo said these creatures are virtually domestic and allow guests to feed them. Holbox is also something of a destination for birders. There are even some flamingos that call the island home. The town does boast a pretty good selection of restaurants along with a handful of boutiques, but discos? I don’t think so. My stay on Holbox, of course, was a little different, since I was there during the Gastronomic Festival. We had our dinner at the festival for the two nights we were on the island, moving from booth to booth to sample the culinary offerings. The first night focused on squid, with each booth featuring a different way in which to prepare it. The second night highlighted the cuisine of Guanajuato. I honestly have no idea what I ate. I can only tell you that everything I ate was delicious. That’s a concept that’s just crazy enough to work, at least for me.